Adapt wheels with a different bolt pattern. Available in thicknesses ranging from 20mm to 25mm, H&R TRAK+ Wheel Adapters change a vehicle’s bolt pattern so that wheels from a different vehicle make or model may be fitted. 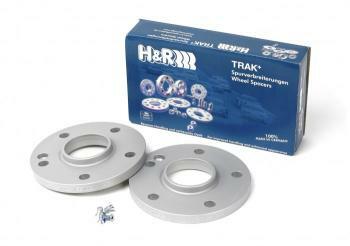 Similar to H&R TRAK+ DRM Series Wheel Spacers, H&R’s TRAK+ Wheel Adapters are hubcentric spacers and fit to the vehicle hub just as a normal TRAK+ Wheel Spacer would. 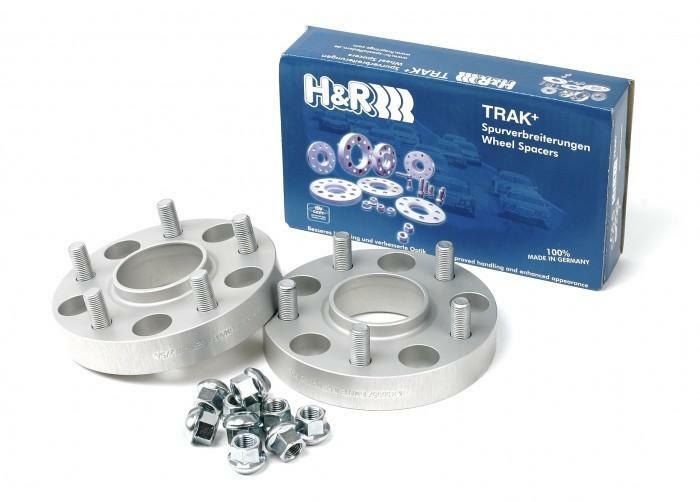 Once fitted however, H&R TRAK+ Wheel Adapters feature a different bolt pattern on the wheel side of the spacer allowing for non-standard bolt pattern wheel fitment. Please ensure that the wheel bolts do not damage any part of the brake system (ABS sensors, etc.). Turn the wheel by hand and check clearance on the inside of the hub. The wheel should rotate freely. (Maximum tolerance for some vehicles is only 2mm — i.e. Rear Axle Mercedes).